Emergency Dentist Shreveport | Shreveport Dentist Benjamin M. Kacos D.M.D. If you are experiencing a dental emergency and are in need of a Dentist in Shreveport, LA, you have come to the right place. Dr. Ben Kacos specializes in emergency dental care. We pride ourselves on being a gentle dental care provider for the residents of Shreveport. When you are in pain, rest assured we will do everything we can to take care of you in a timely manner. Please keep in mind that we intentionally leave openings in our schedule for emergency appointments. Call quickly to schedule one of our emergency appointments. We value your time and do our best to fit everyone in as soon as possible. Broken Tooth, Extreme Pain, Sports Injury….We Can Help. 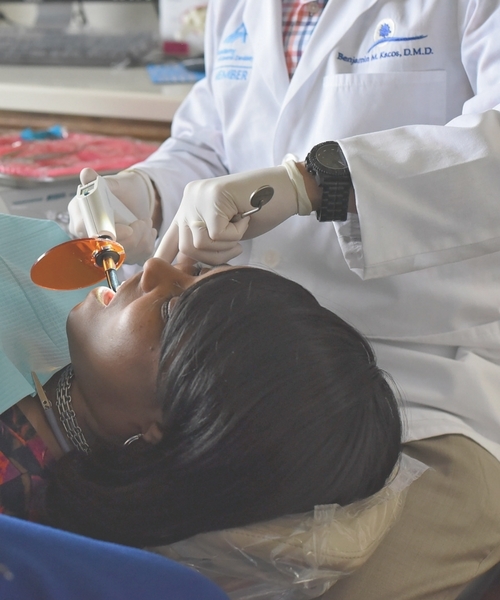 One of the most common reasons Shreveport residents come to our local dental office is, when a tooth pain becomes unbearable. We have seen many cases of tooth pain that have simply been ignored for too long. The over the counter pain relievers like ambesol are just not helping. Or you eventually break a tooth while eating. Now it is time to call your local Shreveport Dentist to diagnose the pain or fix that broken tooth. Regardless of the reason for your dental emergency, Dr. Kacos will take excellent care of you. $20 Emergency Dental Exam. Appointments available on a first come first serve basis. We do our best to schedule patients with emergencies on the same day, but immediate service is not guaranteed. Need Emergency Dental Care Services?